Our picks for the best counter-depth refrigerators available today. Want your fridge to stay cold and give your kitchen a designer look at a good price? These are our picks for the best French door refrigerators under $1,500. Our picks for the best side-by-side fridges money can buy. Our picks for the best sub-$1,000 refrigerators available today. 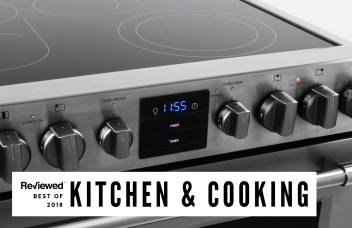 Want the best of the best in your kitchen? We've got you covered. Our picks for the best French door refrigerators available today. Which is best for beer—a mini fridge or beverage center? Now we know. Our picks for the best sub-$2,000 stainless fridges available today. The LG LSXS26366S side-by-side refrigerator fridge has upscale style and door-in-door design. You know the old saying: mom and dad always know best. From easy baked oatmeal to egg bites and monkey bread, these are the most popular make-ahead breakfast recipes on Pinterest right now. Sometimes the value just isn’t there. Everything you need to tailgate including grills, gear, tailgating recipes, grilling tips, tailgating tricks and much more. Brown bag lunches can be so much more than soggy sandwiches.